Everyone internally or externally associated with telemarketing amenities must be aware of the recent trend acquired by the direct marketing processes i.e. to use Robocalls or Robotic telemarketing. It is a form of automated phone calls inaugurated through telemarketing service providers that use computerised autodialers and pre-recorded messages which are delivered through computers in a sale’s pitch. This autodialer mechanisation can animate a personalised telephone call with the assistance of personalised pre-recorded messages to often mislead callers intentionally. Direct marketing or inside sales has initiated the implementation of an advanced programmed women’s voice as the operator to reduce the pain and expense of hiring a real woman to accomplish the task. However, the sentiments associated with feminist activist and other scholars may argue that the technological advancement has encouraged materialisation of the woman’s voice to sell products and services or as a marketable entity. This shall probably lead to the never-ending arguments of patriarchy and gender hierarchy of communication. Social norms are invaluable to the society but sustenance of market competition is non-negotiable too. Vendors providing telemarketing services are finding fresh methods and ways to reach customers on phone, email, social media and other platforms every day. Similarly, robocalls are just another tactic to attract customers. 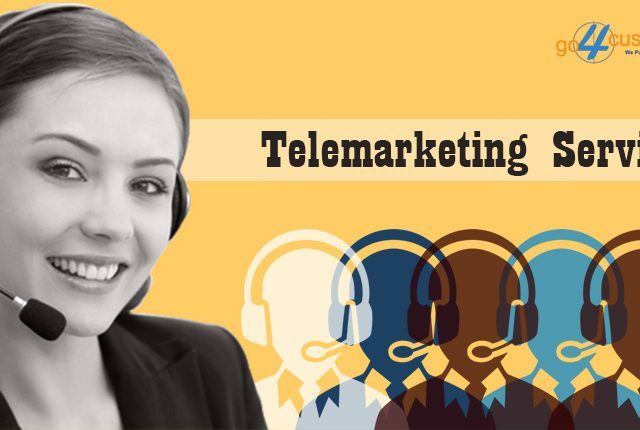 How can telemarketing industry enhance their features through robotic telemarketing? Live calls are the conventional method for telemarketing services but unfortunately they are being replaced by automation. The emergence of artificial intelligence is playing a very important role to identify patterns in hour instead of identifying them through weeks or months. Myriad telemarketing service provider use a computerised autodialer to deliver a pre-recorded message similar to a robotic pitch for sale expediency is known as robocalls. They are routed directly to an answering machine Other than telemarketing phones campaign robocalls are also associated with political campaigns. This technology assists telemarketing companies to collect information and data from both sides of the telephone calls. Robotic telemarketing is considered to be an integral part of the artificially enhanced predictive voice. Telemarketing services now can analyse operation through computerised voice version so that representatives or service providers does not work in the dark. Call centres can clearly see a progressive outcome and understand the performance of both the parties in a phone interaction. Further to this, robocalls are conveniently decreasing telemarketers work load of introductory pressure and entertaining the quality performance of synthetic intelligence. The bots service has increased and excelled in relevance and revenue. They are driving more companies to resolve customer issues by simply developing convenient tools to incorporate natural language, machine learning for both structured and unstructured data. Although the robotic equipment isn’t a new concept to the technological era they have certainly contributed to the evolution of ubiquitous connectivity. Every one of us is not comfortable talking to some kind of computerised voice. Some of the psychological reasons behind such notions are that they sound provocative, too scripted and sometimes annoying. Countless organisations and numerous consumers have tried different approaches for overpowering them over the past couple of years but are ultimately unsuccessful. The surreal technological enhancement has developed such life like voices that it is difficult to distinguish them from the real ones. Presently the most trending robotic voice is “Samantha West” a health coverage robotic entity because implementation of wires and their magical performance through VoIP have generated revolutionised speech recognition system. A lot of robocalls are unnecessary and there are numerous methods to prevent unwanted and illegal calls. Several countries operate do not call lists and the list has been futile and are legally difficult in some cases. Therefore, concerned marketers have established products that permit customers to block robocalls. In telemarketing industry, it is not always easy to see an improvement that leads to better call presentation. However, prominent providers of excellent telemarketing services must authorise innovative technologies to sustain high-end customer demands. As these demands continue to develop and transform the business scenario.